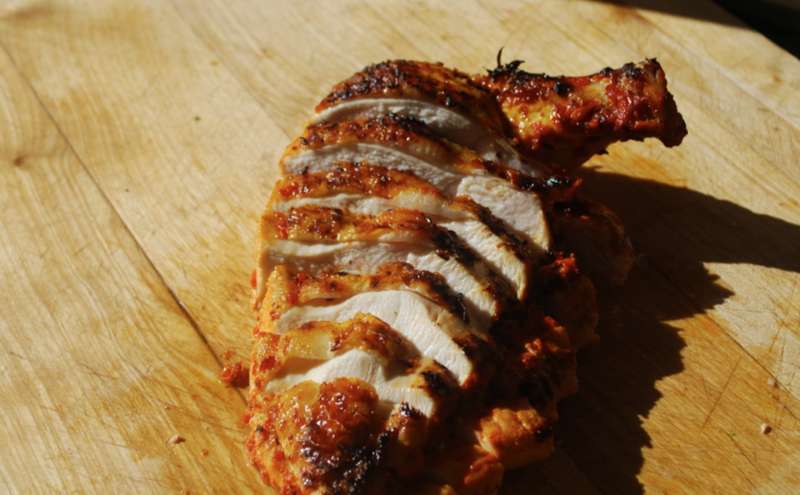 A wonderful antibacterial marinade to help ward off seasonal bugs and viruses and to help with the recovery from illnesses such as colds and coughs. 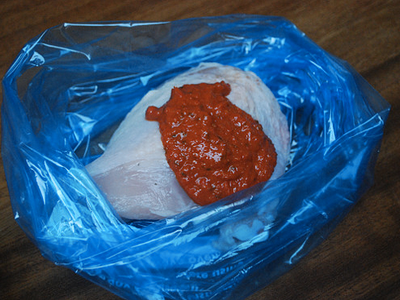 Simply place your chicken into a plastic food bag or bowl and add the harissa paste and work it into the meat. 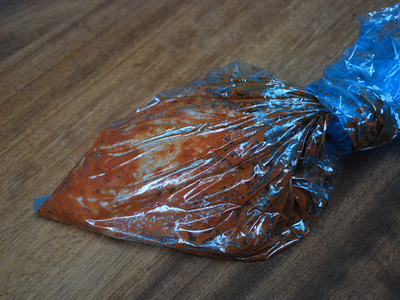 Tie up the bag or leave in the bowl to marinate for at least 30 minutes or overnight to get a more intense flavour. Take out of the bag and lightly season with salt just before cooking. 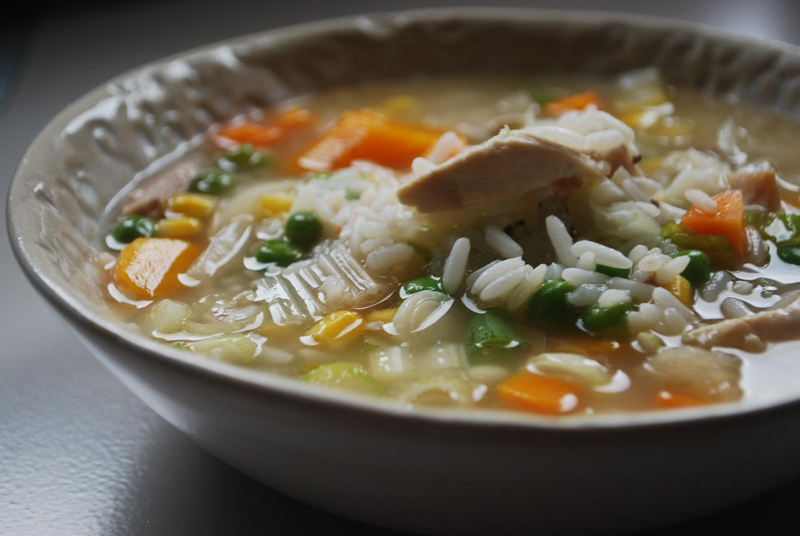 You add salt now and not earlier as salt brings out the moisture in things and you want to keep the moisture in your chicken. Heat up a griddle (or, if you don't have one, a frying pan) with a small amount of oil, butter or ghee to a medium to high heat and add the chicken skin side down. 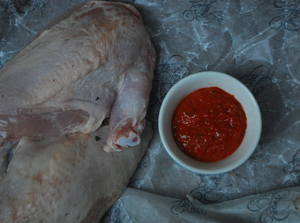 At this stage you are really just getting a bit of colour onto the chicken skin. Colour equals flavour so try to be brave and allow yourself time to give it a lovely caramelised dark brown. 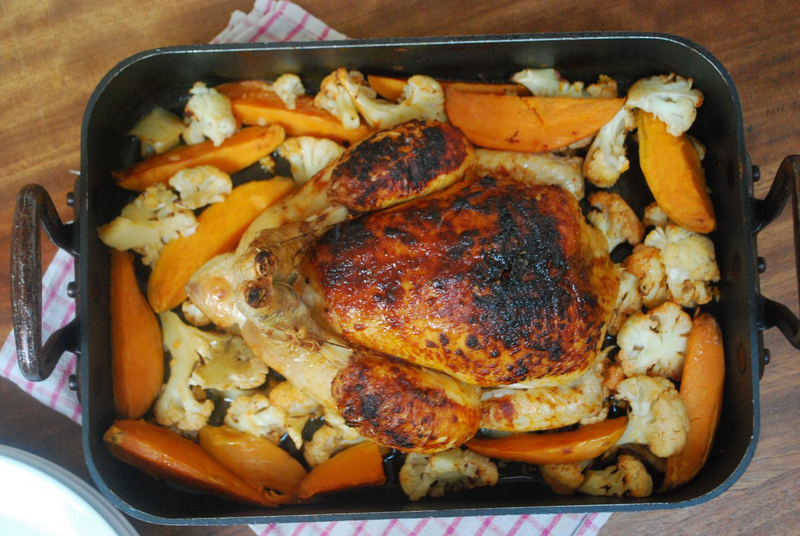 When you are happy with the colour of the skin take it out of the griddle (or frying pan) and pop onto a baking sheet and into the oven for 15-20 minutes (dependent on the thickness of the chicken) until the fibres are set and there is no pinkness. 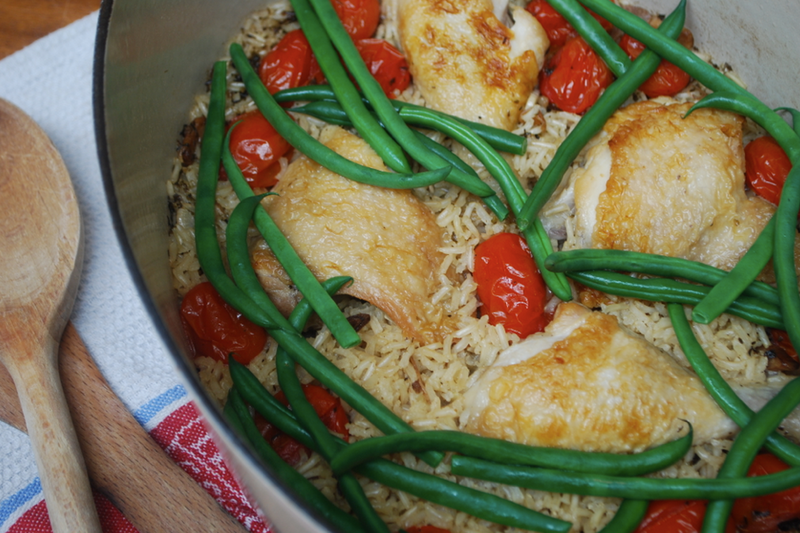 This is delicious with a nice whole grain such as bulgar or camargue red rice.